Any physical injuries sustained as a result of participating in any class or event organised by Hudson Street Hum. Any damage, loss or theft incurred to personal property brought into Hudson Street Hum premises. I agree to take on full responsibility for any damages, injuries and for physical and/or personal property, which I might incur whilst participating in classes and/or events organised by Hudson Street Hum. I agree to give Hudson Street Hum unrestricted publishing rights for any photographs or videos taken at Hudson Street Hum workshops and events for use on social media, newsletters, blogs, website and general promotions. Please let us know if this is NOT ok.
Fees must be paid in full at the time of booking. 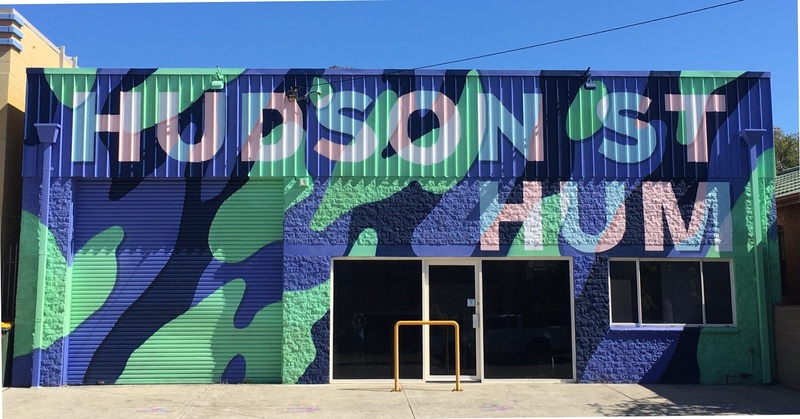 Hudson Street Hum requires 72 hours notice of cancellation via email prior to a one-off workshop or workshop series in order to receive a full refund. If you miss this window, earn some extra karma points and give your ticket to one of your buddies. The tickets are fully transferable. Sorry but we can’t offer refunds or credits on absences from a term-based workshop once it has commenced. We’ll do our best to run all scheduled classes, but sometimes we may need to cancel due to numbers or if a mentor is unwell. In the event that a class is cancelled, students will be notified via email and entitled to a full refund or credit. It is the responsibility of parents / guardians to drop off and collect their child/children on time. The parent / guardian must inform Hudson Street Hum in advance if a child is unable to attend a workshop and if a person other than the parent / guardian is collecting the child.